There are four types of kingfishers in North America. 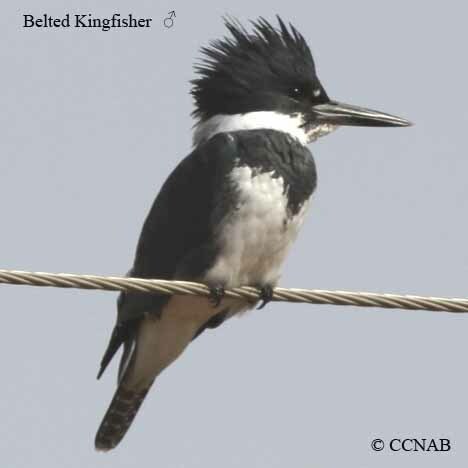 The Belted Kingfisher can be found throughout the continent into Mexico excluding the northern tundra regions. The Ringed Kingfisher is the largest of the species and the Green Kingfisher and the Amazon Kingfisher, which is similar in looks, but larger in size. Both these birds live in Mexico and can be found in the southern boundaries of the United States.